Bruce used the song 2 times as a snippet in " I wanna marry you"
Bruce drops a few lines from "Chapel Of Love" into the beginning and end of "I Wanna Marry You". "Chapel of Love" is a song written by Jeff Barry, Ellie Greenwich and Phil Spector, and made famous by The Dixie Cups in 1964, spending three weeks at number one on the Billboard Hot 100. The song tells of the happiness and excitement the narrator feels on her wedding day, for she and her love are going to the "chapel of love", and "we'll never be lonely anymore." It was originally recorded by Darlene Love in April 1963 and was released on CD in 1991. 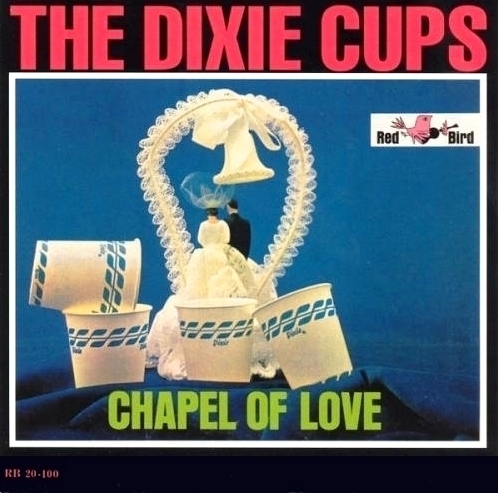 The definitive version of "Chapel of Love" was recorded by The Dixie Cups and released as a single in April 1964. Sung by Barbara Ann Hawkins, Rosa Lee Hawkins, and Joan Marie Johnson, this version was the group's first single taken from their debut studio album Chapel of Love issued on Red Bird Records.